An activity holiday in the Salzkammergut is filled with highlights. While hiking through pastures, woodlands and the nature conservation areas you get to discover rare plant and animal realms. Rest and relaxation are part of this, as is the view to the majestic Dachstein and the impressive Gosaukamm Ridge. Mountaineers get to gaze in wonder at the lush pastures and the blue lakes in the Salzkammergut from a bird's eye perspective. 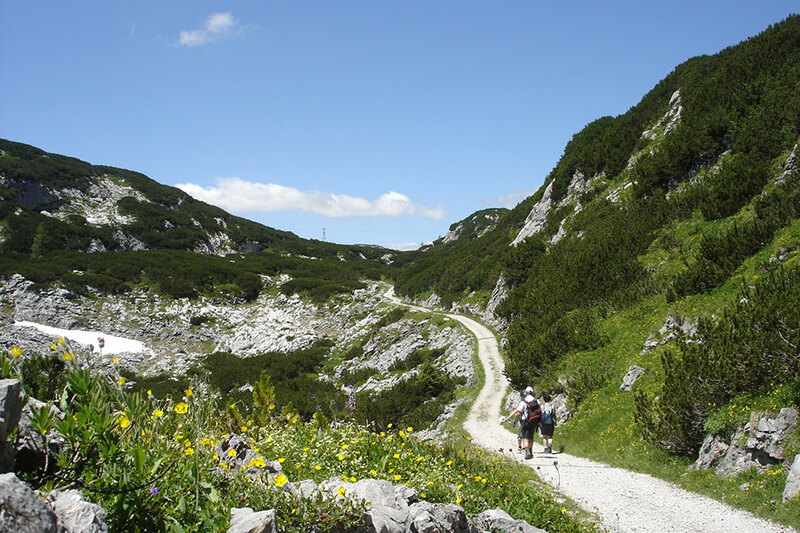 One thing is certain: during your hiking holiday in Gosau you will always be out and about on first-rate hiking trails. 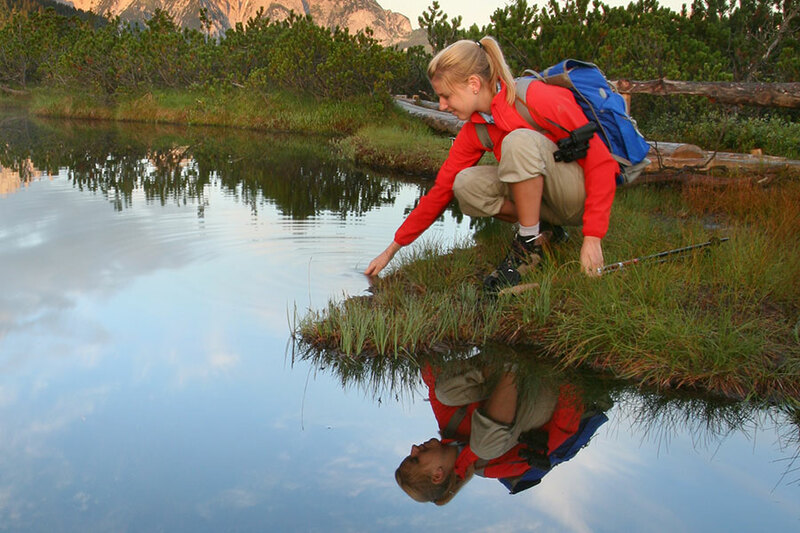 There are tours to suit every hiker in the UNESCO world heritage region around Hoher Dachstein. High alpine via ferrata routes can be found here as can long paths through flat valleys. 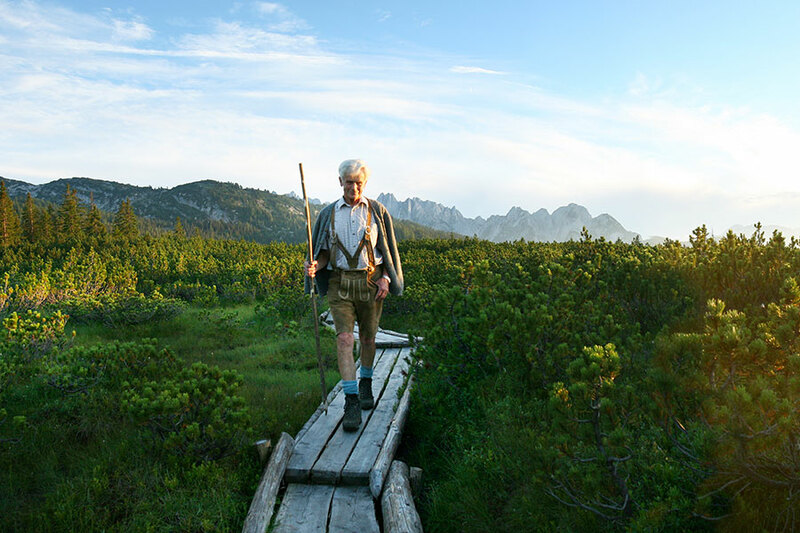 Explore the Dachstein region under your own steam or during a guided tour. Whatever you prefer. It is a two hour hike from Gosau up to the Löckernmoos. The path takes you past impressive 'Schleifsteinbrüchen' quarries. Along forest roads and signposted hiking trails, you climb up to Löckernsee and to the moor which is over 10,000 years old. The meditation area is in a peaceful location in the forest and has rightly been named as the loveliest place in Upper Austria. The SalzAlpenTour has been awarded the 'Wandersiegel für Premiumwege' (a hiking seal of approval for premium routes). It is also suitable for inexperienced hikers and families alike, but is anything but dull. From the Kirchenwirt in Gosau the route proceeds through the town, into shaded woodlands, along babbling streams and across wooden bridges. In the interim you could factor in a few short breaks to enjoy the superb views to the idyllic Gosau and the surrounding pastureland. You get to enjoy one of the most sought-after and loveliest views to the 'König' Dachstein (King of the Dachstein Mountains) from Lake Gosau. The hike around the lake is easy for anyone to negotiate and takes around an hour and a half. On one side the woodlands on the steep slope and the vertical cliff faces are spectacular, while on the other the sun shines across the blossoming pastures. Enjoy a rest on the soft moss or cool down in the crystal-clear waters of the lake. The Dachstein circular hiking route is not for beginners – it proceeds through Gosau and takes you to Bad Goisern. On the way you are rewarded with views to Hallstätter See. The highest point of the stage is at 1629 metres. From there it is not too far to get to the little Kalmoos Church and to the traditional Goiserer Hütte. Hard-working hikers really will have earned the delicious treats served there. If you would like to plan a bespoke hike, the team at Vitalhotel Gosau are happy to provide you with information about the loveliest routes in the Dachstein region. Attention all bike fans! 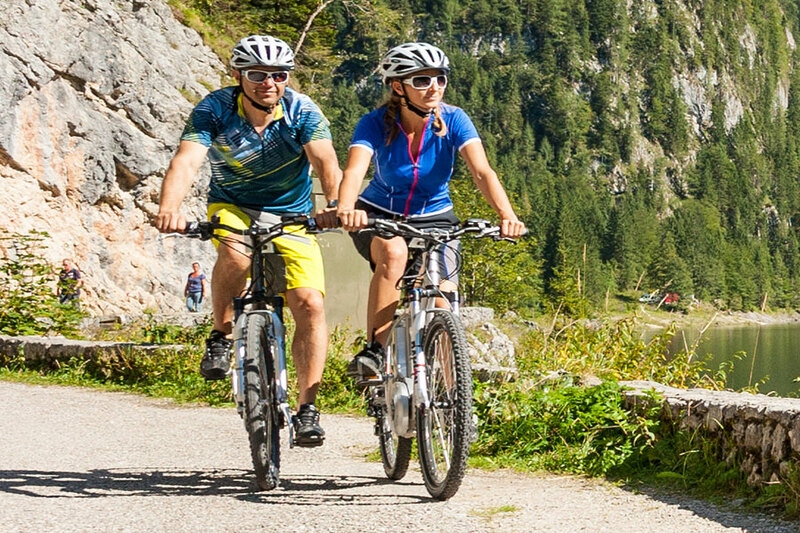 Did you know that the Dachstein-Salzkammergut holiday region has been a certified mountain biking region since 2016? The ideal setting for unlimited adventure on two wheels during your summer holiday. 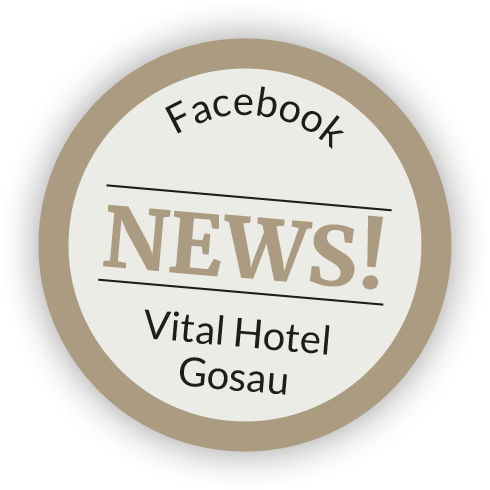 And the loveliest thing about it - Vitalhotel Gosau is right in the thick of this cycling paradise, right on the nearest cycle trail. Get your free cycle map from Reception, hire a bike or an E-Bike in the hotel and get pedalling. After all there is so much to explore in and around Gosau! It is not just ambitious mountain bikers who are well catered-for in the Dachstein region. Leisurely cycle tours for connoisseurs are available here just as much as the exacting trails up to the lofty heights. Depending on the difficulty level of your tour, you will scale mountains, explore valleys, discover traditional lodges and crystal-clear lakes, which tempt you in to cool down. One thing is certain: the natural surroundings in the Salzkammergut region are filled with variety for all cyclists. Picture postcard idyll included. 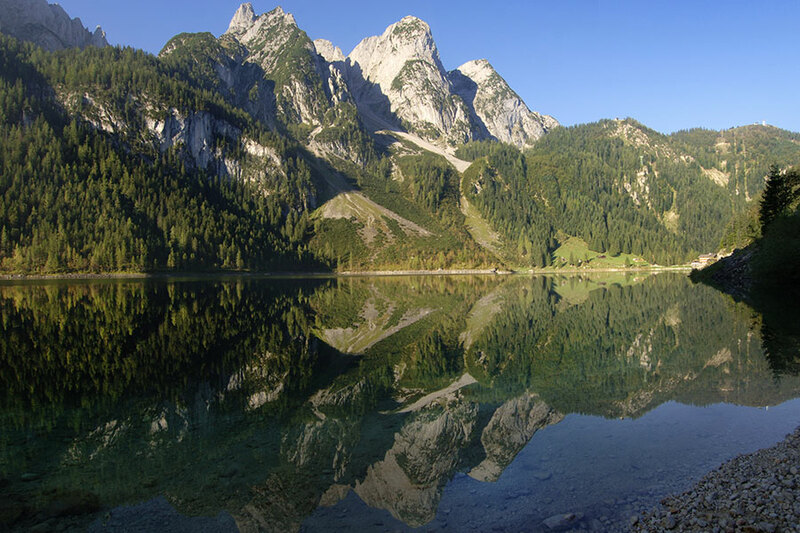 Located in the heart of Austria, the bike region of Salzkammergut is a real gem – the adventure value for your holiday is priceless. There are 70 routes on 1450 kilometres to tackle. The entire network is signposted throughout. Nonetheless, those of you who want a bit of a hand, could head for the Mountain Bike Competence Centre Salzkammergut. The bike pros here offer guided tours, taster courses and training in the right cycle technique. And you can get the compact mountain bike guide which has the best routes and lots of insider tips. 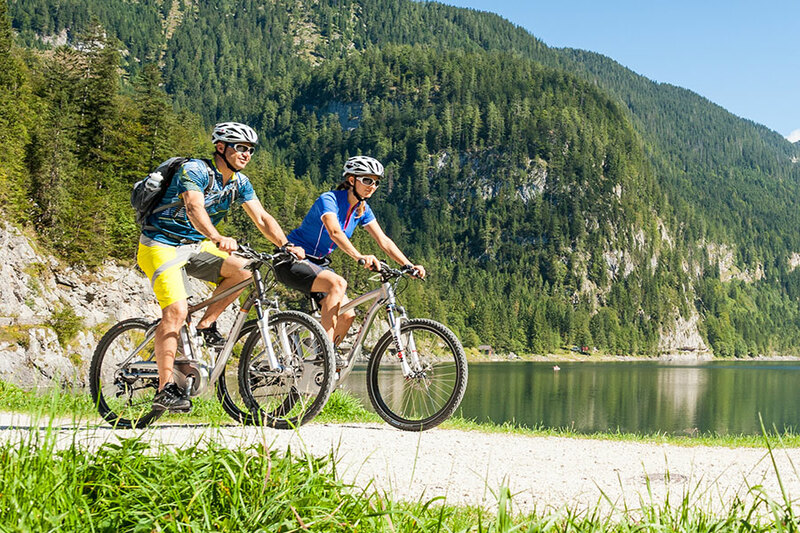 One of the most popular bike tours in the Salzkammergut is the 'Dachsteinrunde'. It spans 337 kilometres, heading through three federal states. There are four routes to choose from, with varying difficulty levels: black (challenging), red (average), blue (for beginners) and an E-Bike route. There is some 7900 metres altitude to tackle. Cycle from Gosau to the Dachstein plateau and in so doing explore Ausseerland, Ennstal and Salzburger Land. A highlight is without doubt the views to Hallstätter See. For multi-day tours luggage transfer and overnight stay options are available to book. Forest trails, sections where you have to carry the bike, trails, asphalt roads and sections where you have to push the bike. You will find all this in the cycling paradise of Gosau. For instance why not tackle the Hornspitz circuit (19.9 km, difficulty level 3), the Igelmoos circuit (23.8 km, difficulty level 2-3) or the Plassen circuit (43 km, difficulty level 4). What all these tours have in common – breath-taking mountain panoramas which you seldom see.